If your toilet is leaking or blocked our team of licensed plumbers have over 40 years of repairing experience in replacing all brands and types of toilets. If you have an older single flush or dual flush toilet suite, give us a call for an honest option on repairs or replacing. After years of Australian drought, designers have developed new style toilets which only use a small amount of water to flush, impacting greatly by reducing the amount of water used in your home or business. Old style toilets used as much as 11 litres of water for each flush, where new toilets now only use as little as 3.5 litres. A 4-star WELS rated dual-flush toilet uses more than 60% less water than a standard single flush toilet. If you have purchased your own toilet, then we can install it for you, or if you prefer, we can supply and install our recommended brand of toilet. All toilet repairs are guaranteed. Moyle Plumbing is a team of experienced licensed plumbers who are able repair most brands and types of leaking taps, including mixer taps throughout Brisbane Southside including Beenleigh, Logan & Northern Gold Coast. If you have pre-purchased your own taps, we can install them for you, or we are also able to supply and install our recommended brand of taps. Moyle Plumbing uses quality tap washers and materials which allows us to guarantee our work. Burst pipes require immediate emergency attention to reduce the amount of expensive water damage to walls and floor coverings. If leaking water pipes outside of the home, under concrete or in the garden are left ignored or unattended, it will result in an expensive water bill. We recommend burst or leaking water pipes be attended to immediately. Moyle plumbing has many years experience locating and repairing water leaks around your home that others cannot find. Our services extend throughout Brisbane Southside including Beenleign, Logan & Northern Gold Coast. If the pipe to the burst pipe has an isolation tap – Turn it OFF. Turn ON the front hose tap to drain the water out of the water line. Turn OFF the power to the hot water system. Call Moyle Plumbing 07 3807 7327. CAUTION: Water spraying on or near any power supply or electrical appliance is extremely dangerous. Turn OFF your mains power supply to the home immediately. Concealed water leak is when you cannot see the leak with the naked eye. Often the leak is found after you receive a notification from your local council, or a larger than normal water bill. You man have noticed a green patch in the yard, or a water leaking through cracked concrete. Location of this type of water leak requires specialised electronic equipment along with years of plumbing experience. If you suspect that you have a concealed water leak, we recommend you turn off all your water fixtures such as taps and toilets, take a water meter reading before leaving the house and again when you return. If the reading has changed, then you most likely have a water leak. 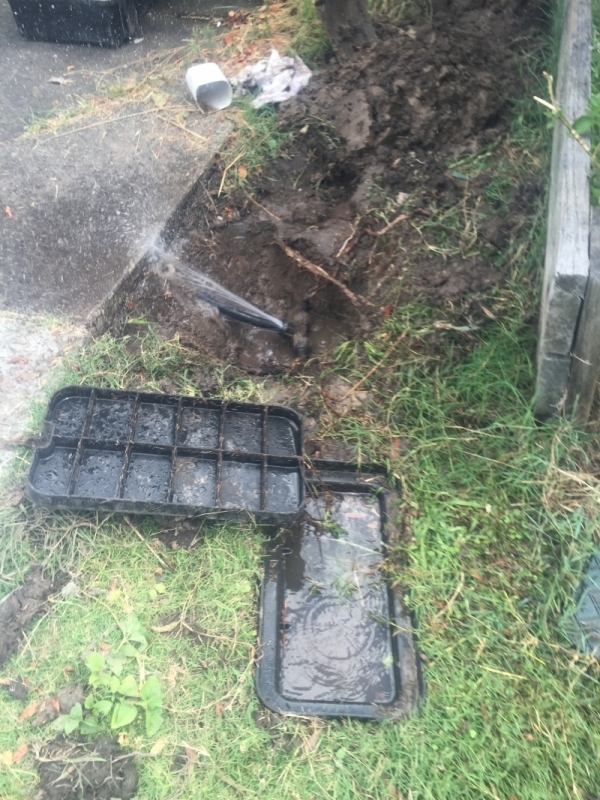 Moyle Plumbing has many years experience of locating & repairing hundreds possibly thousands of water leak with excellent outcomes. If it is found that you have a concealed water leak, then you may be eligible for a rebate on your water bill if repaired by a licensed plumber. By filling out a form that corresponds to your location you may be able to claim finiancial aid against your excess water. Contact us online or call us on 07 3807 7327 for more information. Moyle Plumbing & Gasfitting has been repairing leaking tin roofs on the Southside of Brisbane including Beenleigh, Logan & North Gold Coast for over 20 years. If your tin roof has sprung a leak, give Moyle Plumbing a call for a professional and honest option on what is involved in your repair job. Leaking guttering & downpipes can be a problem causing, water to pool, flood, damage and encourages termites around the home with damp wet areas. Moyle Plumbing & Gasfitting repair & replaces old guttering & downpipes. Give us a call for an honest option from an experienced tradesman. If your downpipes, guttering & storm water drains are blocked, we have a high pressure drain cleaning machine perfect for these problems.